Written in the early seventeenth century, the Hustynja Chronicle represents the first attempt of early modern chroniclers to write a systematic history of Ukraine. The chronological sweep of the text is ambitious, describing the history of Kyivan Rus´ and Ukraine from biblical times until the Union of Brest in 1596. The text covers many critical periods in Ukrainian history, including pre-Mongol Rus´, the expansion of the Grand Duchy of Lithuania, and the emergence of the Cossacks. Its unique style blends the older tradition of presenting information under yearly entries with a newer, more narrative style of chronicle modeled on the works of Polish chroniclers such as Stryjkowski and Bielski. 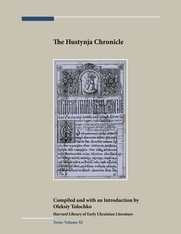 This publication marks the first time that the Hustynja Chronicle has appeared in a scholarly edition. One copy originally found in the Mharsk Monastery serves as the exemplar for the main text and is accompanied by notes representing variants from six other copies of the text. An introduction by Ukrainian historian Dr. Oleksiy Tolochko, in both the original Ukrainian and English translation, provides a detailed description and history of the chronicle. 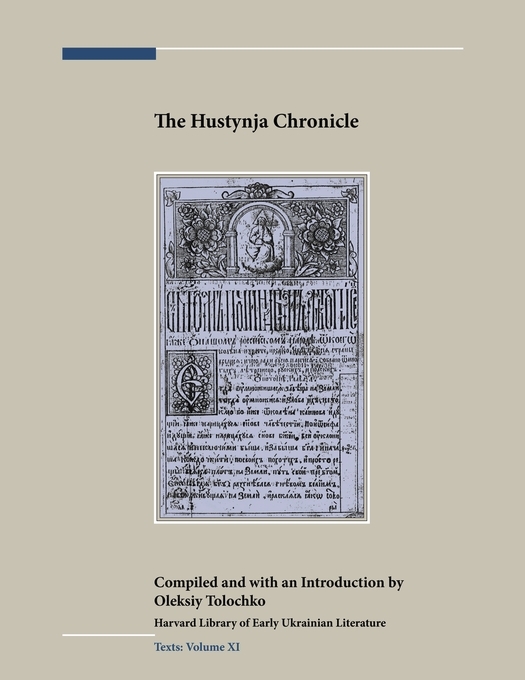 The Hustynja Chronicle is an essential source for scholars interested in medieval and early-modern Ukrainian history, philology, and chronicle writing.